Yes it is time for Satan’s holiday, and yes even though I have a partner now, I still feel the same way. I’m sure the El Salvadorian thinks differently (and yes I have him a little present because he is spoiled) but mostly I think it is a bit overdone holiday. I want you to show me all year that you love me, not just this one day where people spend a lot of money. Lucky for me, I do have a partner that does that now; that man has a ton of patience. LOL. 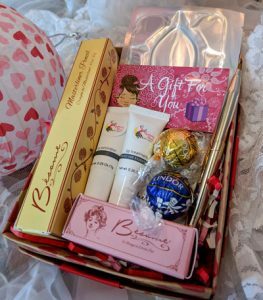 Now I will never turn down an extra chance to go to the spa or do something fun so if you want a gift that is all for you and won’t add inches to your waist, then a facial gift certificate is perfect for you! 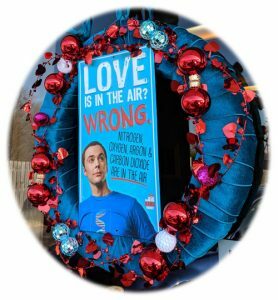 And if you haven’t been to the shop, stop in to see my new Valentine’s Day wreath – a tribute to Sheldon from The Big Bang Theory! Love him! 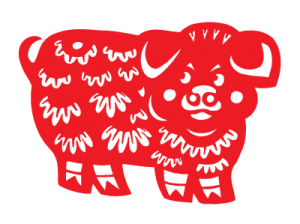 The Pig is the last of the zodiac animals to appear before the Jade Emperor. They are a sign of wealth and it is believed that their chubby faces and large ears will bring you good fortune! So 2019 should be a great year to make money and to do well with investing! Because the pig attracts success in all aspects of life, it should be a great year for all of the zodiac signs. I am all in for a year filled with joy, friendship and love. Winner, Winner, Chicken Dinner! It is time for one of the biggest migrations in the world that happens every year! Chinese New Year! Millions of Chinese will travel to family who mostly live in rural areas. It is the largest Firework displays in the world! Although fireworks have been banned in some areas because of pollution, it doesn’t stop them from taking place. The reason for so many fireworks? It is believed to scare away Nian, the evil monster and bad luck on New Year’s Eve but in the morning they are used to usher in the New Year and bring Good Luck! It is the longest holiday break in China, lasting 15 days! Red is very important to wear and decorate with! Red is believed to scare away Nian and the wearing of red is believed to bring good luck. Special foods are served that all have meaning – like Fa gao (发糕) is a the hybrid of sponge cakes and muffins. People dye it festive colors. The fa is the same as in fa cai (发财), which means “to get rich.” I want some Fa gao! So since this is Satan’s holiday month, I figured what better way to celebrate than with a pair of confident, powerful, bold (or not so bold) red lips! No matter if you are single, partnered up, married, divorced and on the prowl, or just want to try something different, you can change your look, confidence and presence by simply adding red lips to your arsenal. So get ready to pucker up those soon to be smooth, glamorous lips. Love is in the air with this “made-for-each-other” cherry and chocolate duo. This perfect couple will warm your skin and tantalize with the indulgent scents of cherry and chocolate. This is Cupid’s favorite! Exfoliate and brighten the skin with the antioxidant and brightening benefits of the cherry enzyme. Contains 5% lactic acid, 5% mandelic acid, and 1% arbutin and 1% kojic. Perfect for normal and combination skin. It promotes deep hydration that protects from environmental damage while relieving the surface signs of aging. Arbutin and kojic provide extreme lightening capabilities. Cocoa, glycerin and squalane are excellent emollients, lubricants and humectants to draw moisture to dry, flaky skin. Vitamin E is an excellent anti-aging antioxidant. This is one of my favorite enzymes and I love boosting it with the 2% Retinol Scrub/Mask. Your skin might get a little pinker but man it looks fabulous. (Not suitable for first time clients or those with more reactive skin). 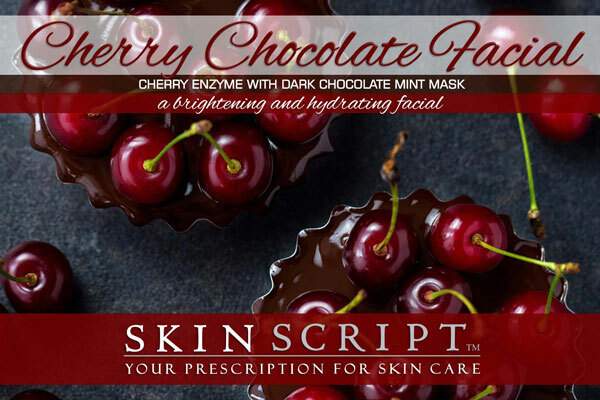 Cherry Enzyme: Exfoliate and brighten the skin with the antioxidant and brightening benefits of cherry. Contains 5% lactic acid, 5% mandelic acid, and 1% arbutin and 1% kojic. Perfect for normal/combination skin. It promotes deep hydration and protects from environmental damage while relieving the surface signs of aging. Arbutin and kojic provide extreme lightening capabilities. Skin Conditions: Normal and combination skin; sun damaged skin; hyperpigmentation. For sensitive skin we have a tamed down version for you. The Dark Chocolate Mint Mask can cause flushing. 1 Hour Treatment – $70 and through the month of February includes a Complimentary Lip Treatment. My Valentine’s Day Gift to you! Red lipstick has been used over the centuries to enhance women’s (and sometimes men’s) lips. It has been seen as a sign of status, a sign of rebellion, a sign of hope, as having magical powers or as a sign of Satan’s work. 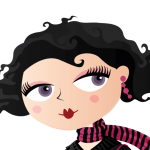 At one time men could even get their marriage annulled if they were “tricked” by the bride wearing lipstick! Really guys? Want to know more on the history of lipstick, especially red lipstick? Head over to our blog for the full scoop on Red Lips. I do my best to get everyone in at their preferred times. If for any reason you are unable to make your appointment please let me know a minimum of 2 days beforehand. You will receive an email when you book your appointment and should also receive your appointment reminders via email 2 days beforehand. Please be sure to check your spam folder and add us to your safe list! Remember this is a courtesy reminder, not reading your emails is not a good reason for missing your appointments. If you do not show up for your appointment or cancel with less than 24 hour notice you will be charged the full service. I understand emergencies happen but we all need to respect each other’s time.